Cindy Rushefsky just announced that as of Friday February 20th Pit Bulls and Pit Bull Mixes will be adoptable to rescues as long as they pass the temperament test the other breeds of dogs currently go through! Don't stop now guys! 8 years later....we will get a repeal!!!!! -Did we really have a win tonight....Maybe. -Are we going to be pacified by this decision....No! -Are we going to show up at the City Council meetings until someone actually looks at the legislation the AITF proposed....Yes, at least some are. 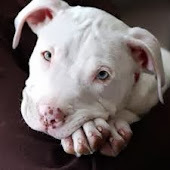 -Are we going to educate the public about dog behavior, dog bite statistics, and BSL...Yes! 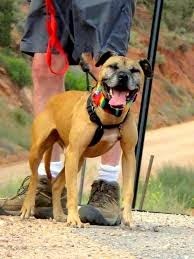 -Is the city going to make it extremely hard for rescues to pull the pit bulls out of the pound...Probably. -Are we going away because we got a bread crumb....No Randy, Clay, and Kevin!!!! No we are not going away! Contact me if you have any questions about Breed Specific Legislation!